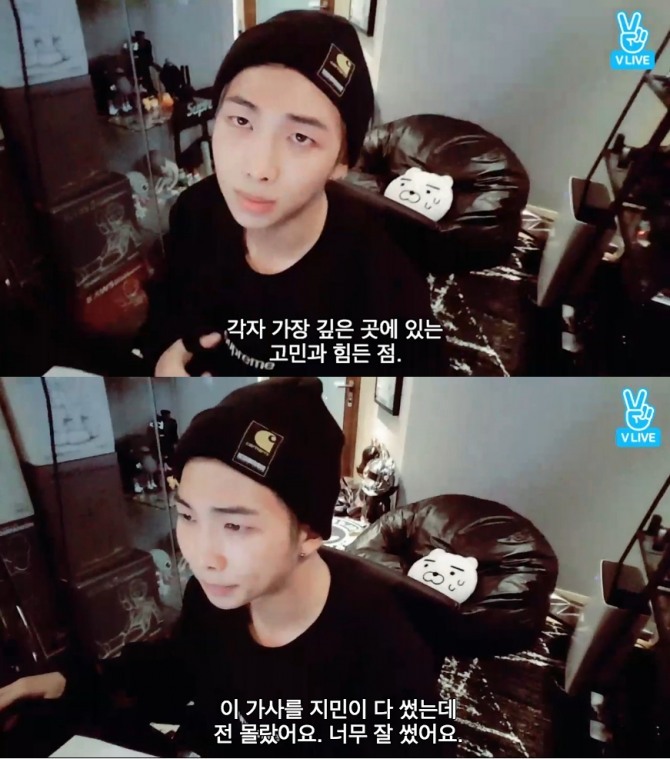 Septet group Bangtan Boys’ leader Rap Monster aired a live V broadcast Thursday where he discussed in depth the behind-the-scenes stories of the making of their “Wings” album. “Wings” released Oct. 10 and contains 15 tracks from the band. “It really represents the persons we are,” he added. For the beginning he played the first song of the album, “Intro: Boy Meets Evil” by J-hope. Rap Monster explained parts of each song where everyone contributed. Ideas that developed into the backbones of each song came from everyone, including producers who mixed the sounds into a whole new thing, he said. For Jungkook’s “Begin,” it was Rap Monster who wrote the lyrics. “At first, I was hesitant and unsure to write as if I were Jungkook. To speak from his perspective when I am not him, was a confusing and uncertain task,” Rap Monster said. Rap Monster said “Lie” by Jimin was an extremely well-written song. “First Love” by Sugar made Rap Monster realize anew how important an instrument the piano is for Sugar. When he had something on his mind that troubled him, Rap Monster used to go to Ttukseom in eastern Seoul to take in the nature overlooking the Han River. “Once, on such a solitary trip, I was hit with inspiration and I wrote down the lyrics on the spot,” Rap Monster said. Rap Monster spoke for nearly an hour, going through each song of the album. 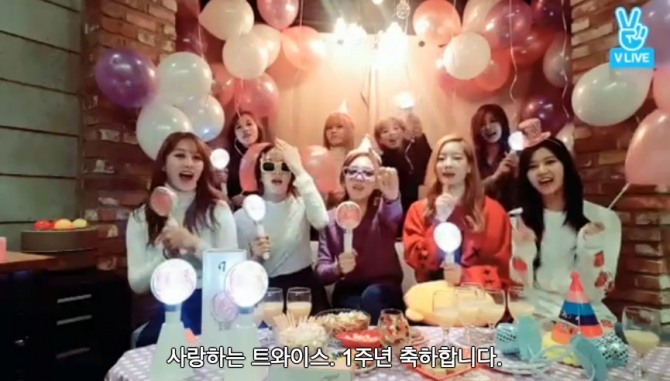 Rookie girl group Twice celebrated a full year since their debut Thursday via a V app broadcast. The nine-piece girl group sat down together for a party in a room decorated with balloons and champagne glasses. Momo, a Japanese member of the group, thanked the fans for their love. Twice is letting out a new album on Oct. 24. For the activities to follow after the album release, Twice prepared a special prop. Resembling stick candy, the wand-like prop lights up and glows. “We would recognize the Once members anywhere now. This stick even has the Twice logo,” they said. Twice members chatted in front of the camera for over an hour. 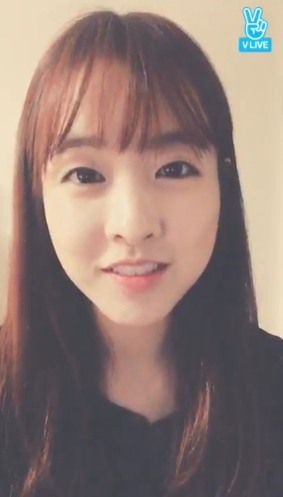 Actress Park Bo-young aired a live V broadcast Thursday, which was her reappearance on the video-streaming application in a month. “I’m sorry it’s been a while, everyone,” said the 26-year-old who had earned extended fandom after starring in TV drama “Oh My Ghostess” in 2015. Park said she had been saving the broadcast for a time when she would be at a shoot, where she was professionally dolled up. However, postponements in shoot schedules had pushed back the V broadcast indefinitely. A TV drama featuring Park titled “Powerful girl, Doh Bong-sun” is set to air in 2017, though shooting has not yet begun. Park aired her last V broadcast a month ago. Park comfortably chatted with her fans. She answered their questions and gave out advice for their personal concerns. For high school students preparing for the national college entrance exam, coming up in 27 days, Park bid them good luck and strong hearts.